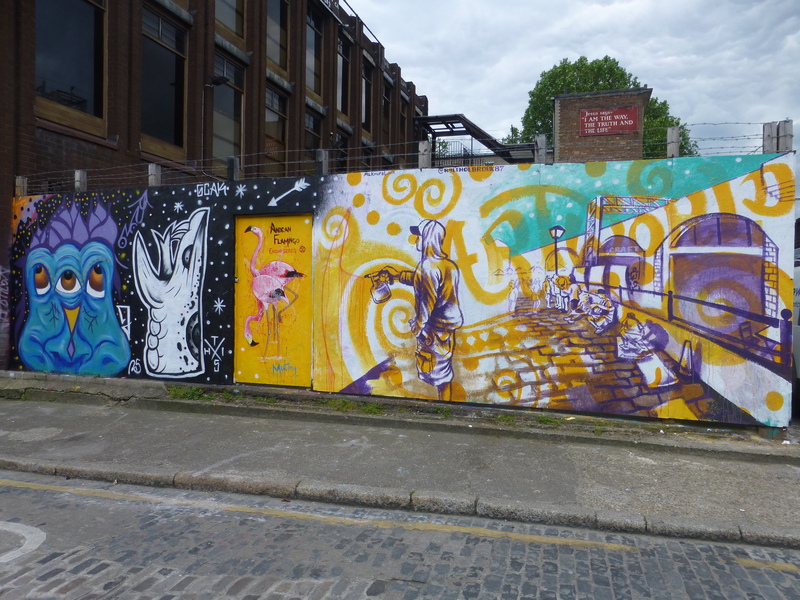 Well its with much sadness that we have to say farewell to Hidden Streets Of London as the team there embark upon new adventures in sunny LA, which is very much a fantastic opportunity not to be sniffed at, however it does herald a sad end to a chapter of London’s Street Art scene. 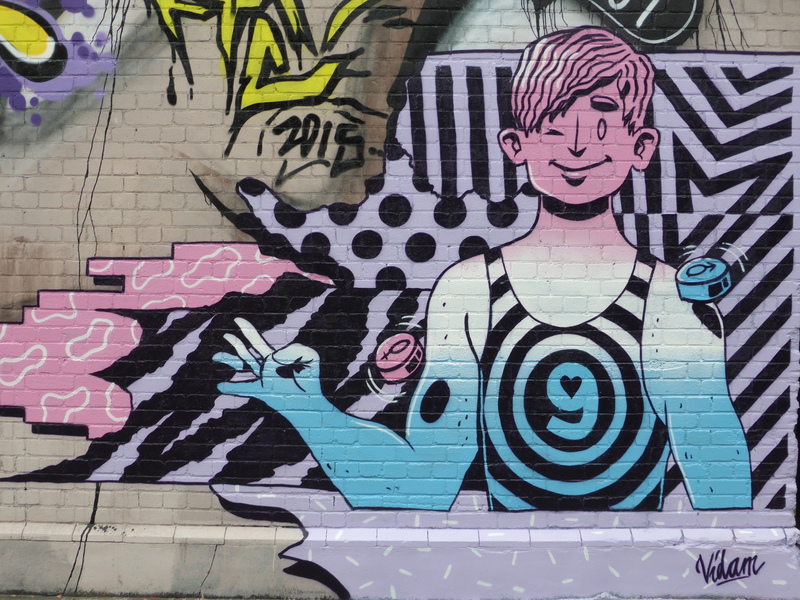 Having been responsible for facilitating and supporting a number of works around London over the last few years, primarily in Bethnal Green which really has proven a top location to go see Street Art since we started the blog. This departure will leave a void in the London Street Art scene for sure, but fortunately London is a versatile city and for that matter so are the Hidden Streets of London so we don’t think this is the last we have seen from this lot in London yet. So for now happy travels, best of luck and thanks for all the fantastic art and excellent Paint Jams you have helped give us to report on the blog, as well as a big thanks for all the help along the way in providing the heads up on happenings about town, always appreciated and has made our life so much easier. 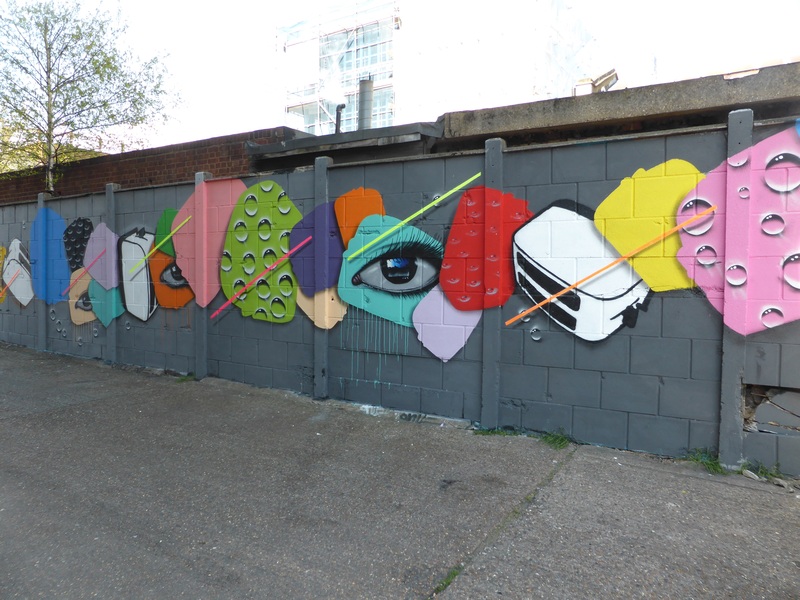 So without further ado here below are just some of the works put up with support from Hidden Streets Of London around London since we started running the blog – with with joint support from Monoprixx for the vast majority of works in Camden Town. 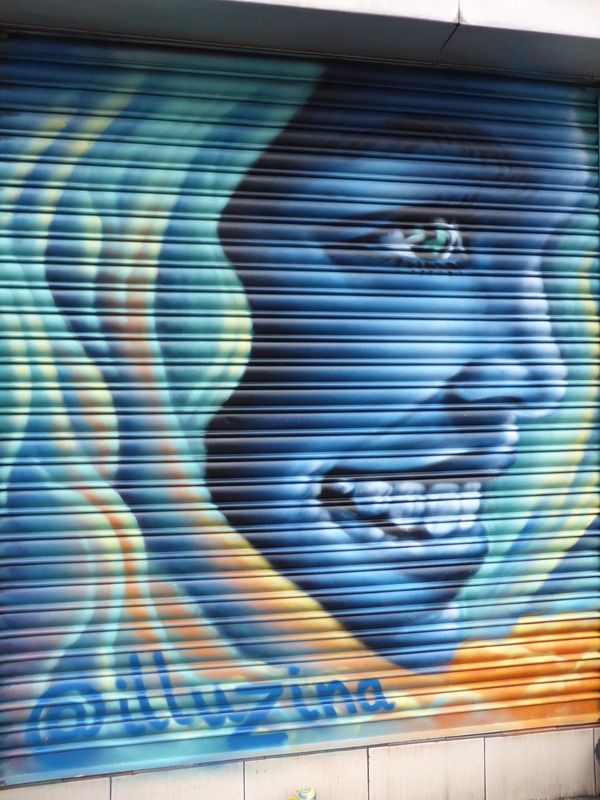 Work by Alaniz in Camden Town. 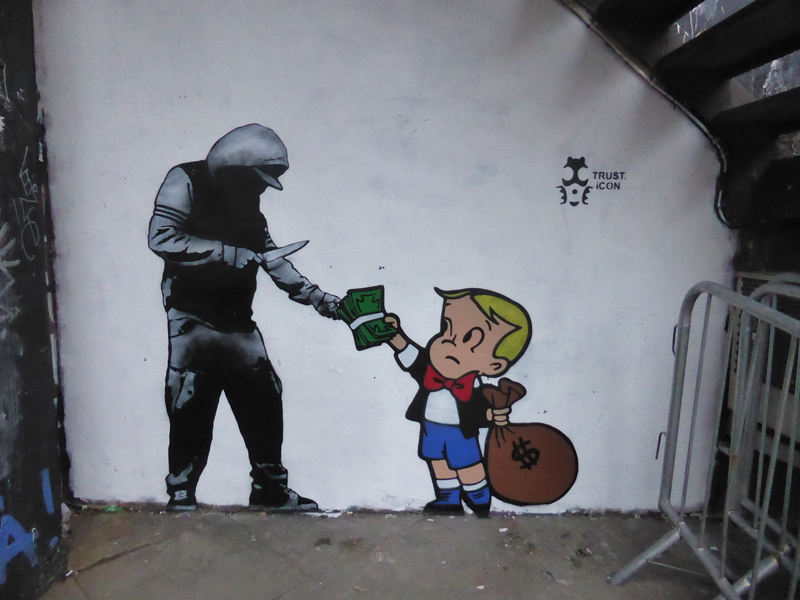 Work by Klone in Camden Town. 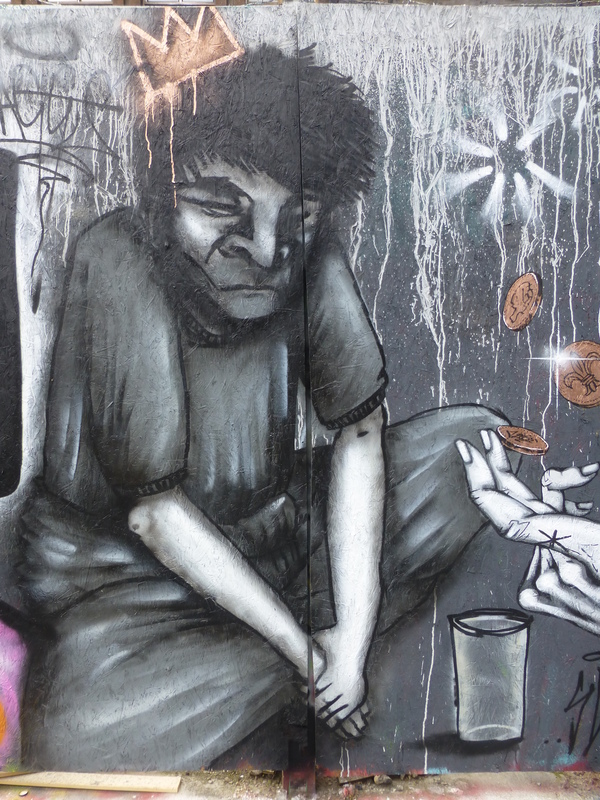 Work by Alice Pasquini in Bethnal Green. Lovely work by Mr Cenz. 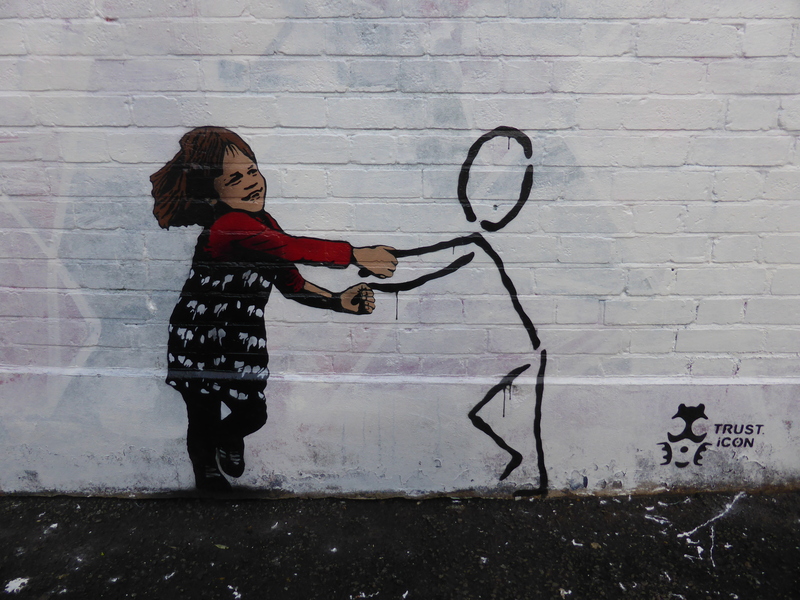 ‘Imaginary Friend’ by Trust Icon Work in Camden Town. Work by Trust Icon in Shoreditch. Also the subject of the very first post on London Calling Blog. Work by Vanesa Longchamp in Camden Town. Work by Pyramid Oracle in Hoxton. 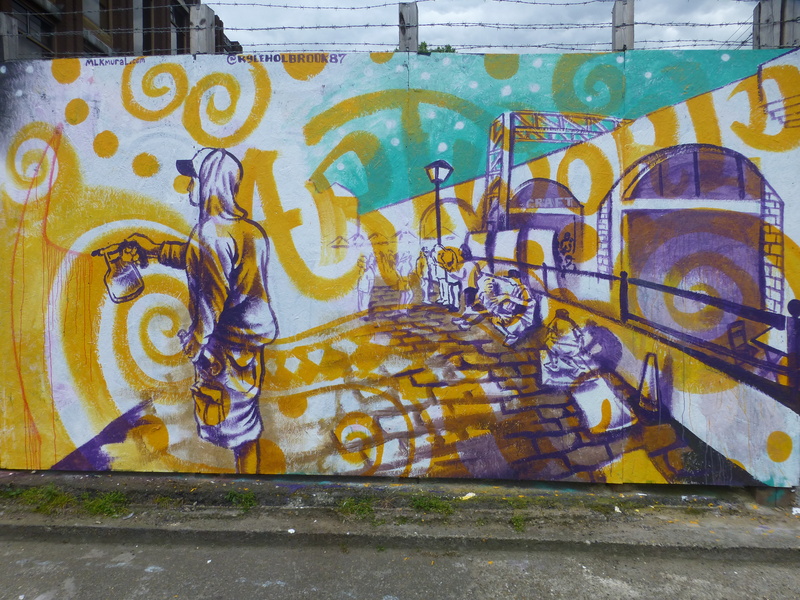 Work by Lilly Lou in Bethnal Green. 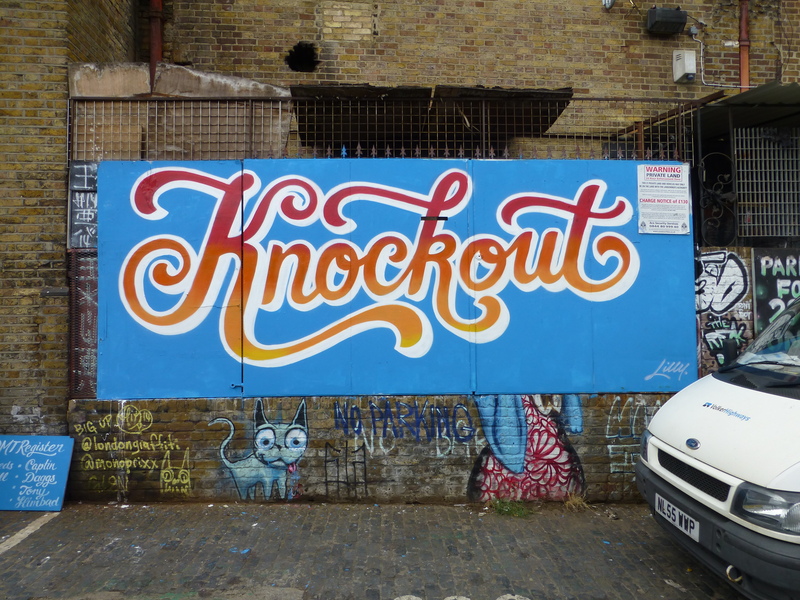 Work by Captain Kris in Bethnal Green. Work by Zina in Bethnal Green. 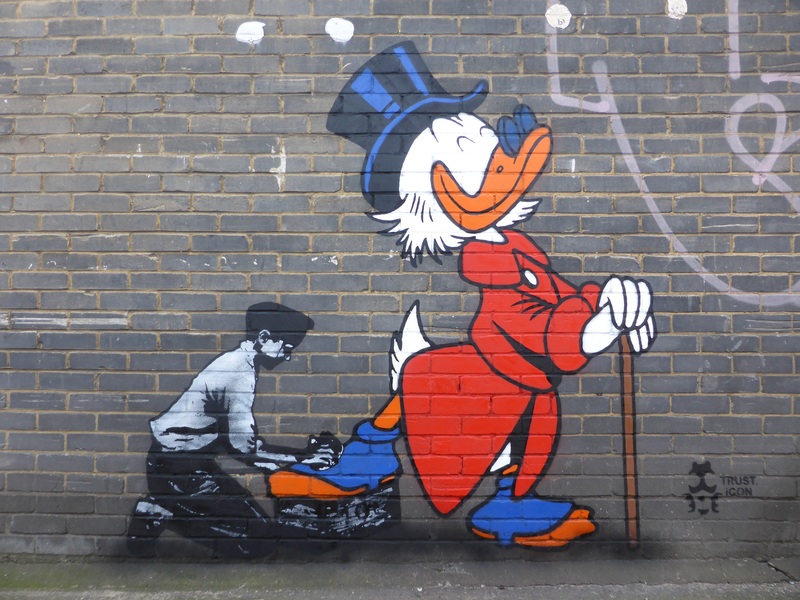 Work by Deesaster in Bethnal Green. Work by Squirl in Bethnal Green. Work by Dirty30 in Bethnal Green. 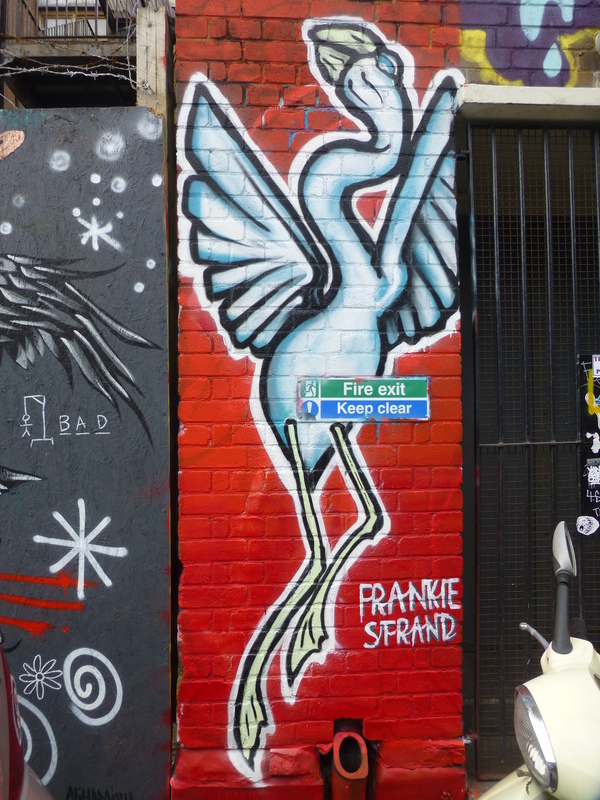 Work by Frankie Strand in Bethnal Green. 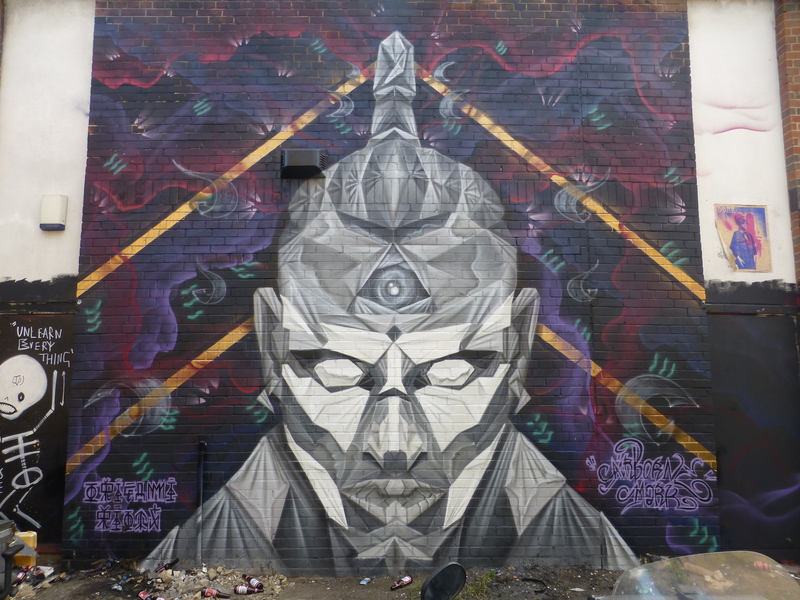 Work by Mr Cenz in Bethnal Green. 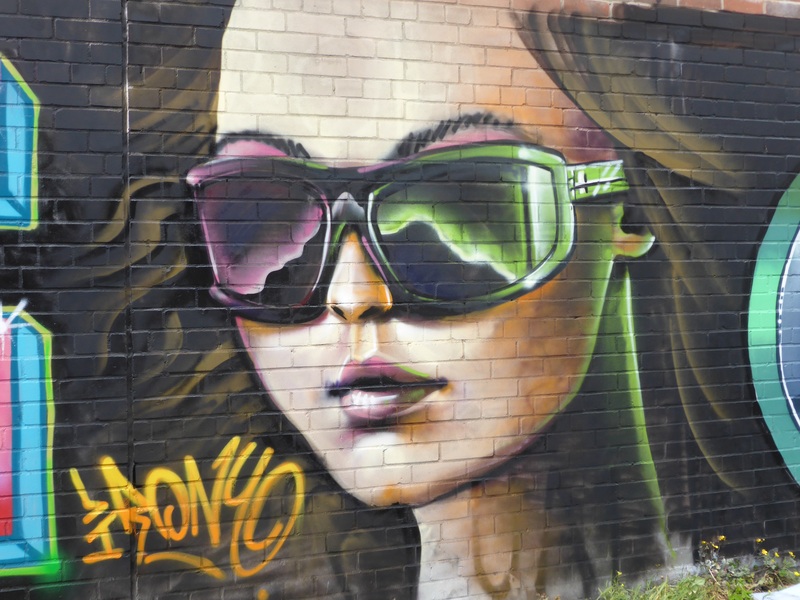 Work by Aero in Bethnal Green. Work by Vanessa Longchamp in Bethnal Green. 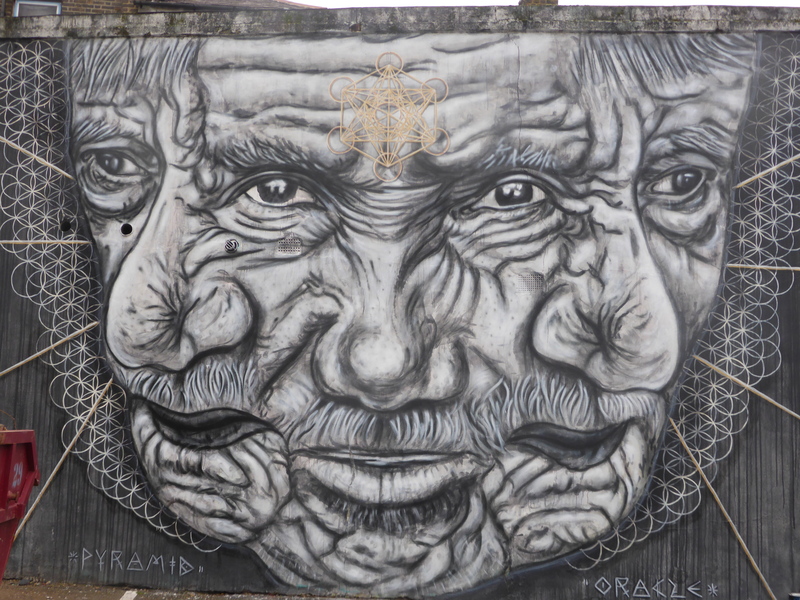 Work by Amara Por Dios in Bethnal Green. Work by Fanakapan in Bethnal Green. 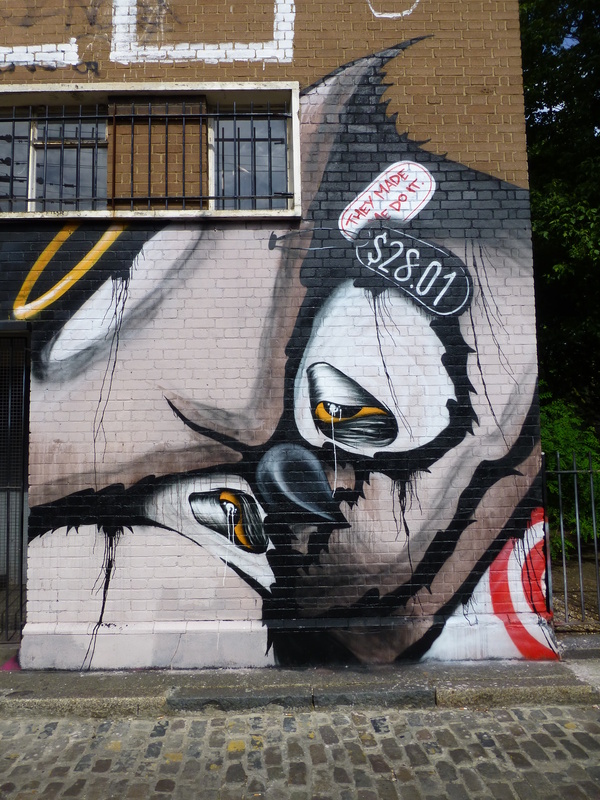 Work by Snub23 in Bethnal Green. 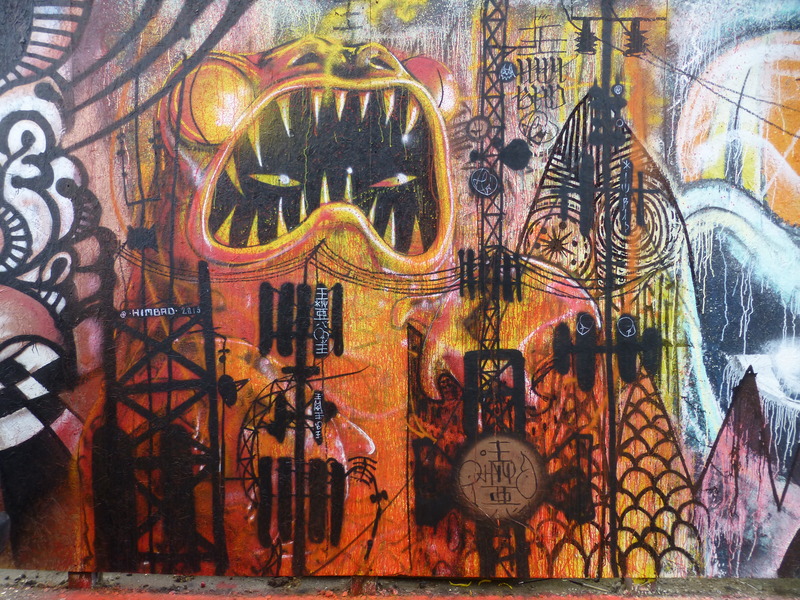 Work by Toasters & My Dog Sighs. in Bethnal Green. 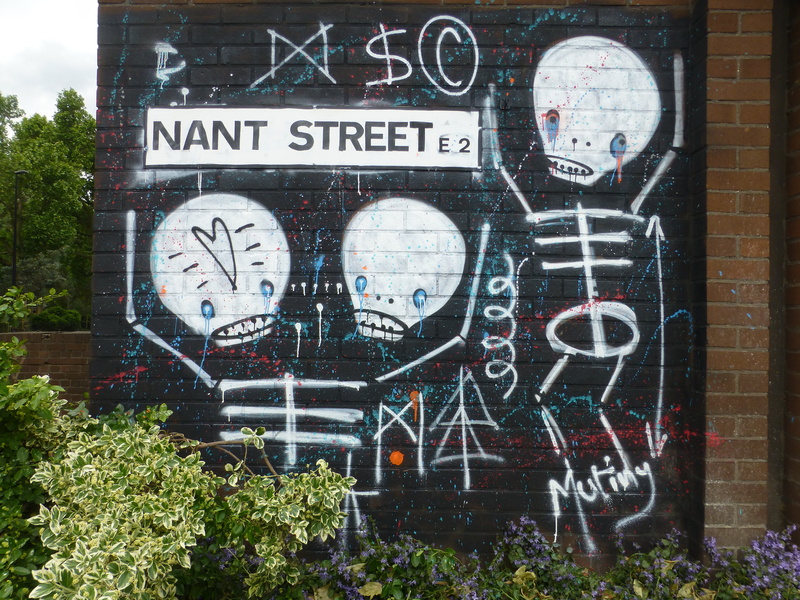 Work by Candie Bandita in Bethnal Green. Work by Seeds One in Bethnal Green.e). Work by The Real Dill in Bethnal Green. ‘Preservation’ by Trust Icon in Bethnal Green. ‘Shine Box’ by Trust Icon in Bethnal Green. ‘Photography ‘ by Trust Icon in Bethnal Green. 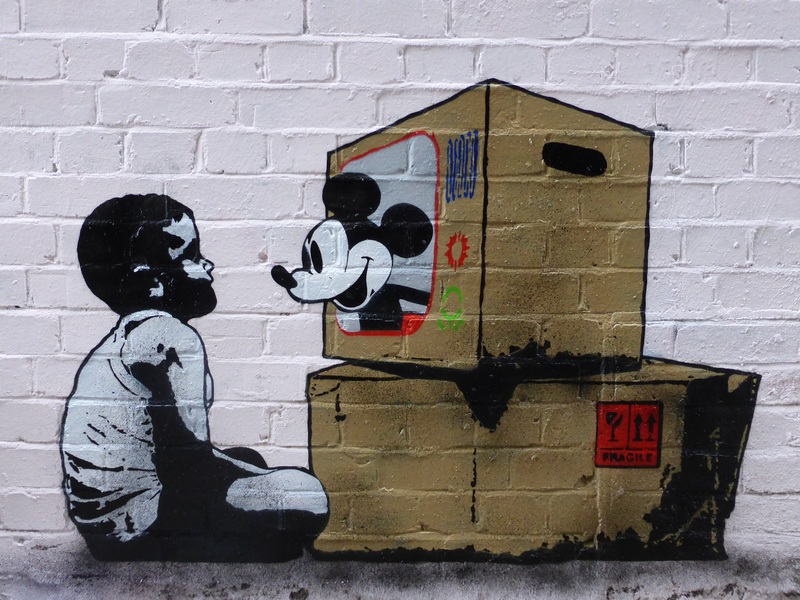 ‘Being Poor Isn’t So Bad, It Just Requires A Little More Imagination’ by Trust Icon in Bethnal Green. 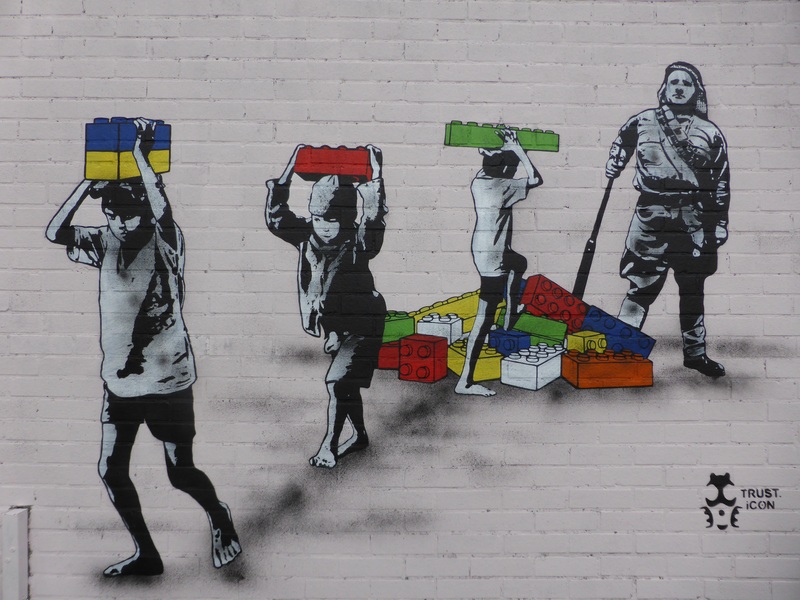 ‘Child Labour’ by Trust Icon in Bethnal Green. 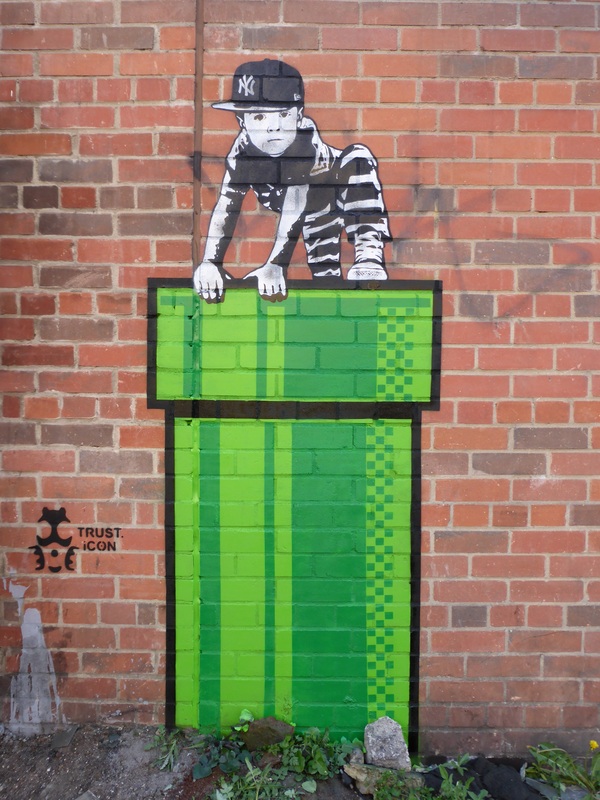 ‘Warp Zone’ by Trust Icon in Bethnal Green. 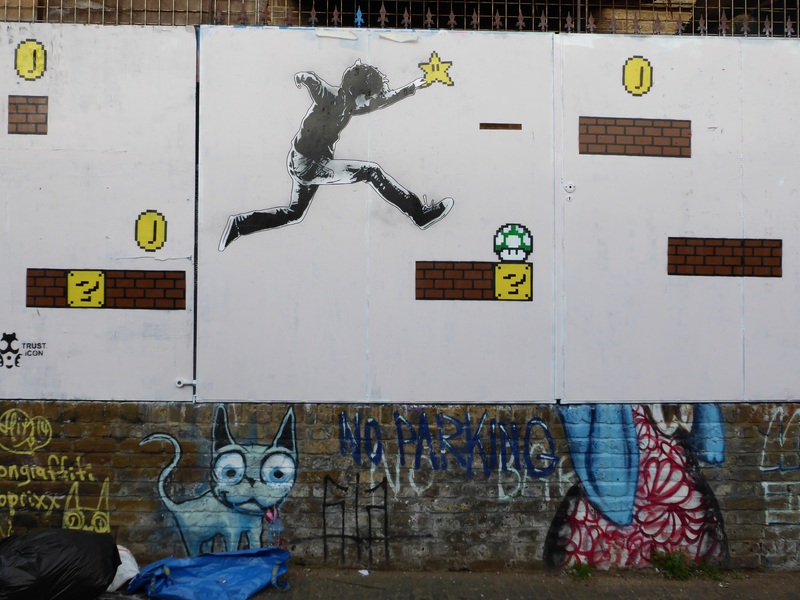 ‘Bonus Level’ by Trust Icon in Bethnal Green. Work by Pyramid Oracle in Bethnal Green. Works by Himbad & Pyramid Oracle in Bethnal Green. 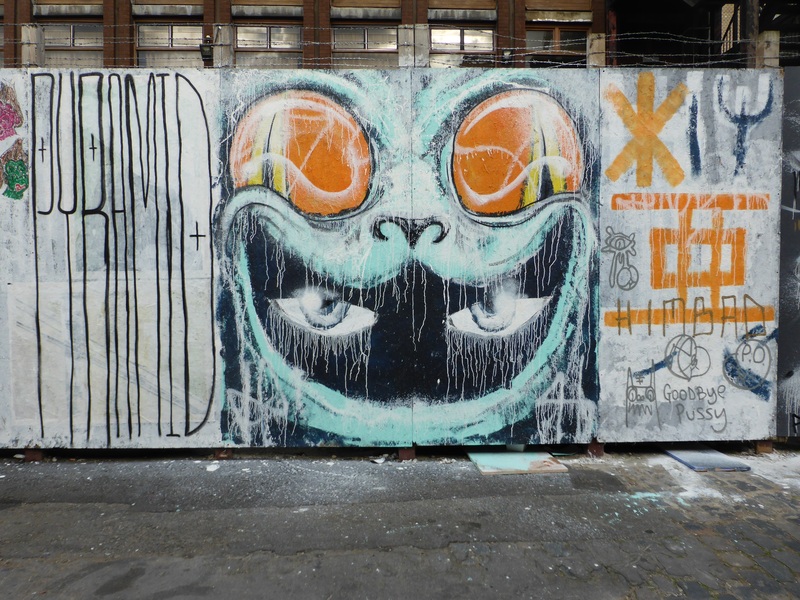 Work by Himbad in Bethnal Green. Work by Ali Hamish in Bethnal Green. Work by Giusi Tomasello in Bethnal Green. Work by Pang in Bethnal Green. Work by Float in Bethnal Green. 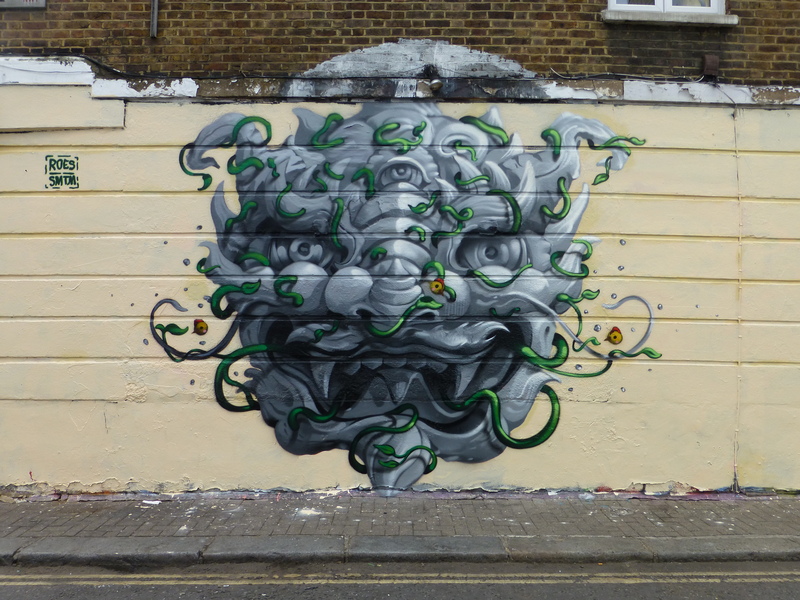 Work by 0707 & Jask in Bethnal Green. Work by Irony in Bethnal Green. Work by Pixie in Bethnal Green. 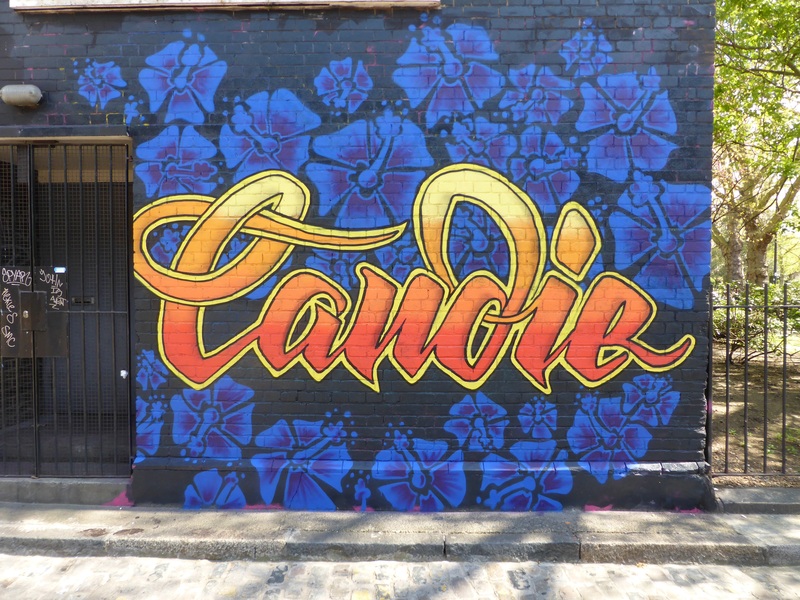 Work by Candie in Bethnal Green. 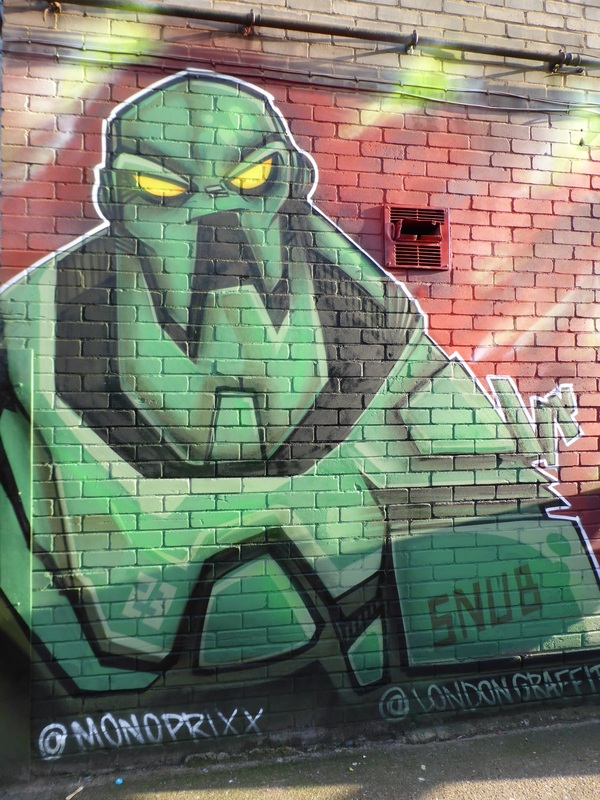 Work by SPZero76 in Camden Town. 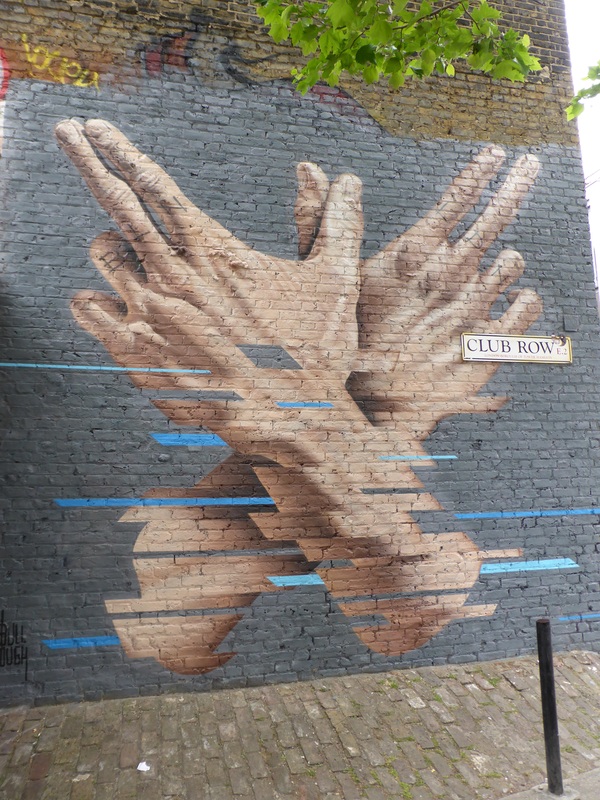 Work by James Bullough in Shoreditch. 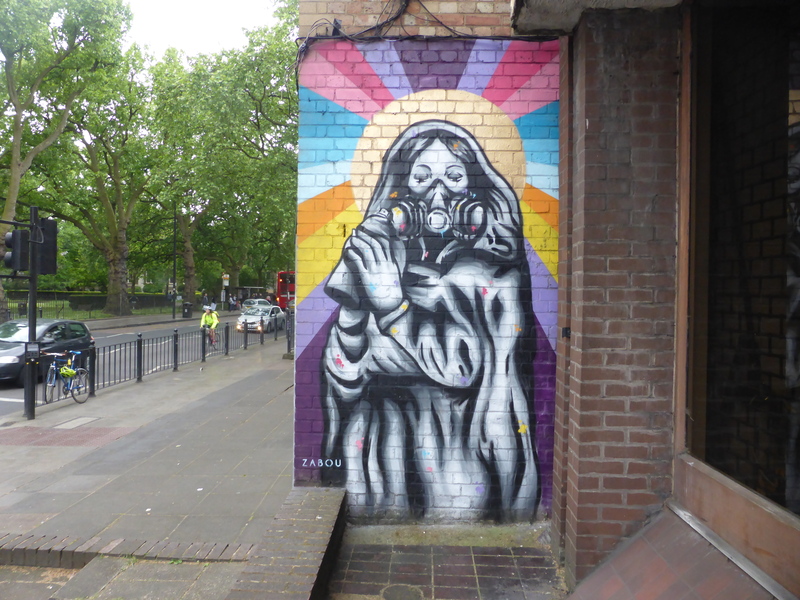 Work by Zabou in Bethnal Green. Work by Irony & Boe in Bethnal Green. Work by Airborne Mark in Bethnal Green. Work by Bill Daggs & Ali Hamish in Bethnal Green. 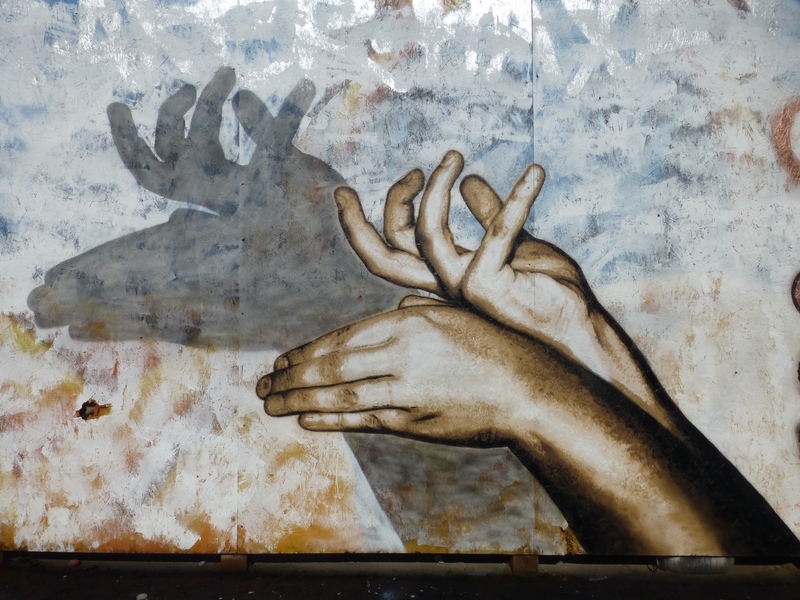 Detail of work by Ali Hamish in Bethnal Green. Detail of work by Bill Daggs in Bethnal Green. 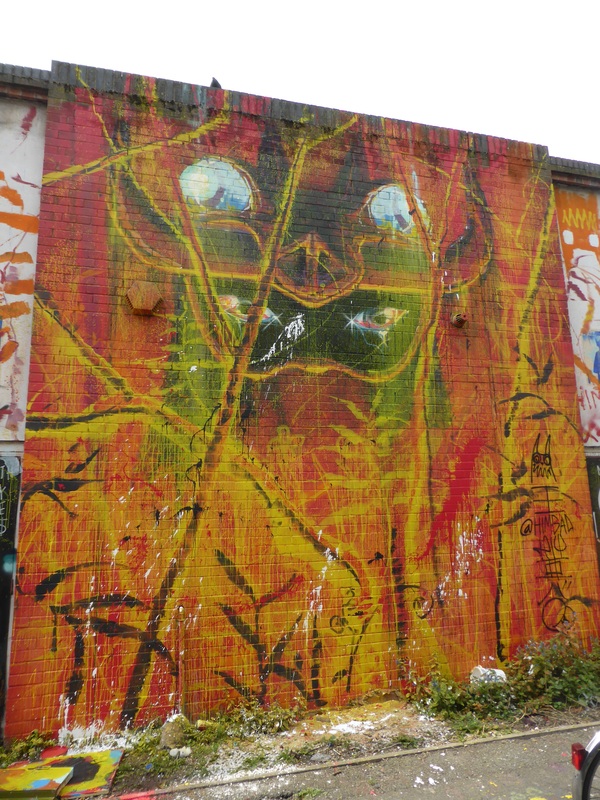 Work by Seeds One, with hint of Himbad in Bethnal Green. Work by Himbad & 616 in Bethnal Green. Work by 23rd Key in Bethnal Green. 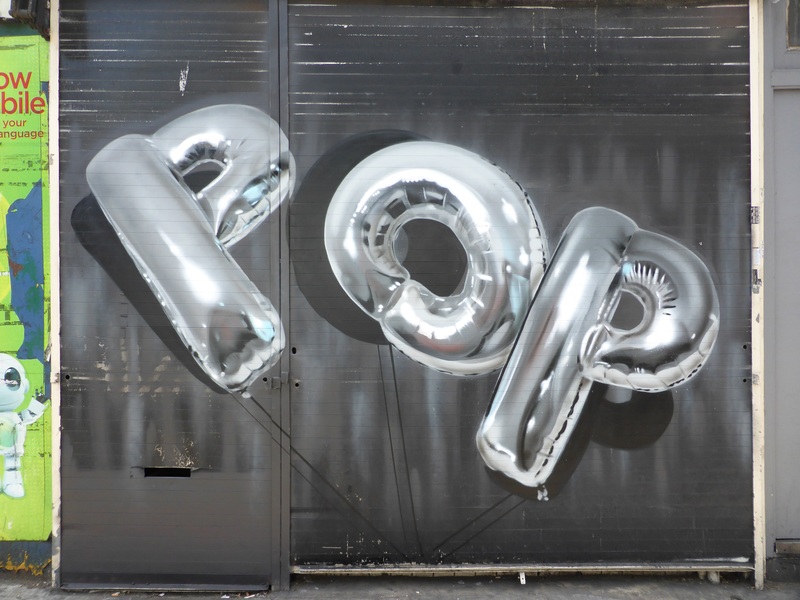 Works from Jarvis, Thisone, Mutiny & Kyle Holbrook in Bethnal Green. Work by Kyle Holbrook in Bethnal Green. Work by Jane Mutiny in Bethnal Green. Work by Thisone in Bethnal Green. Work by Skeleton Cardboard & Jane Mutiny in Bethnal Green. 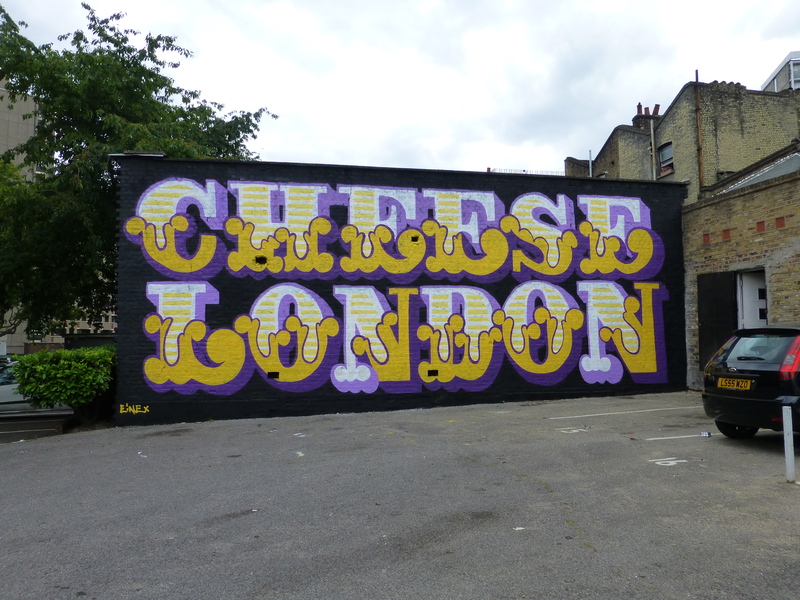 Work by Ben Eine in Hoxton. Work by Fanakapan & Bill Daggs in Bethnal Green. Work by Mr Never Satisfied. 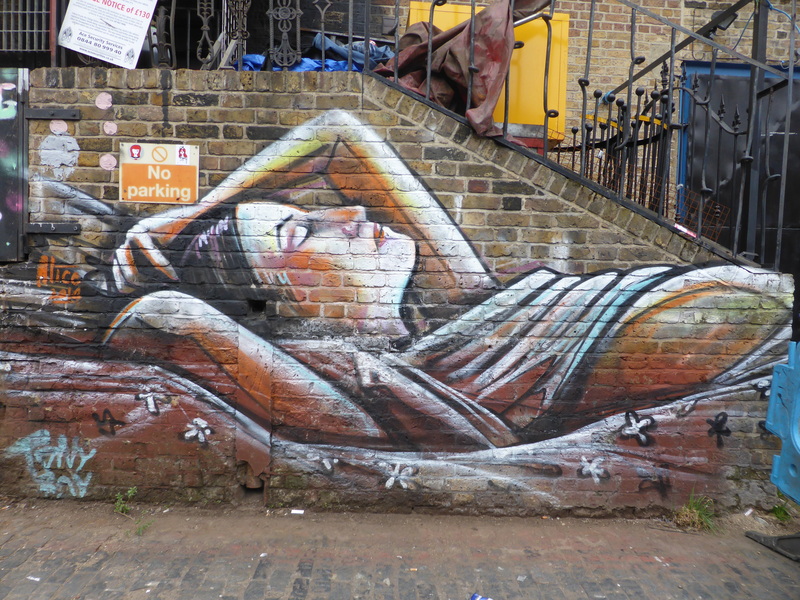 Work by Starfightera in Bethnal Green. Work by Fumeroism in Bethnal Green. 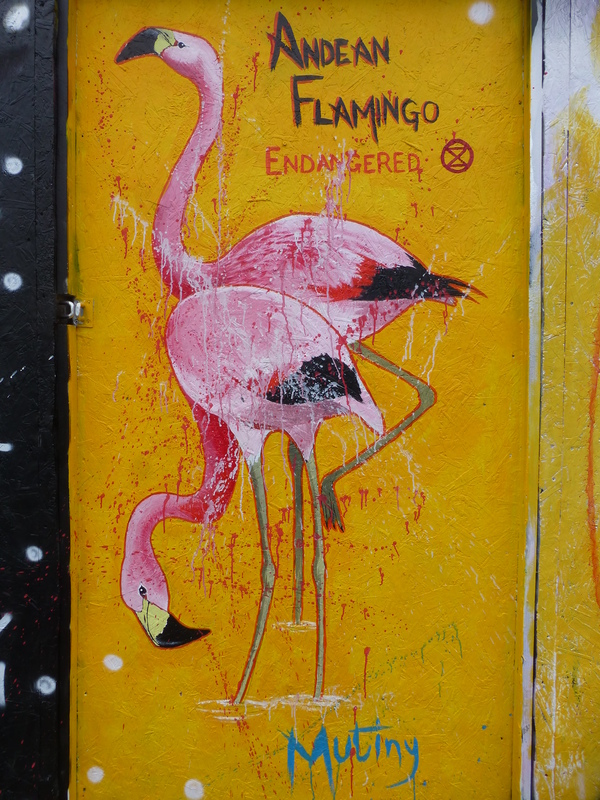 Work by Fumeroism in Camden Town. 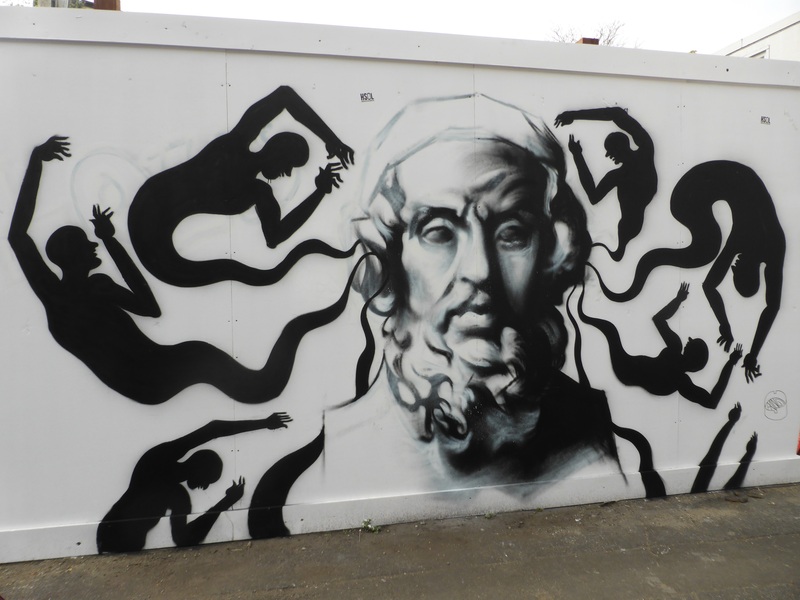 Work by visiting Belgian artist Joachim & Hunto in Bethnal Green. 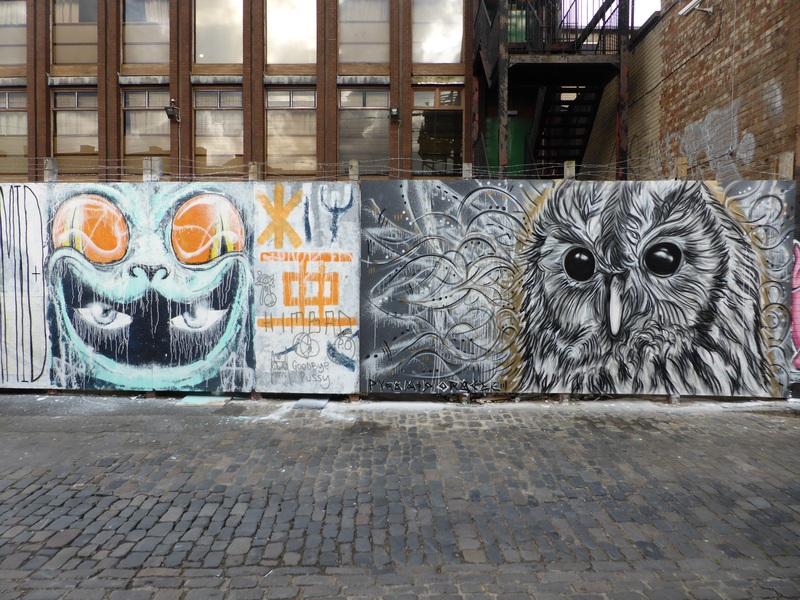 Work by visiting Brazilian artist L7M & Jimmy C in Bethnal Green. 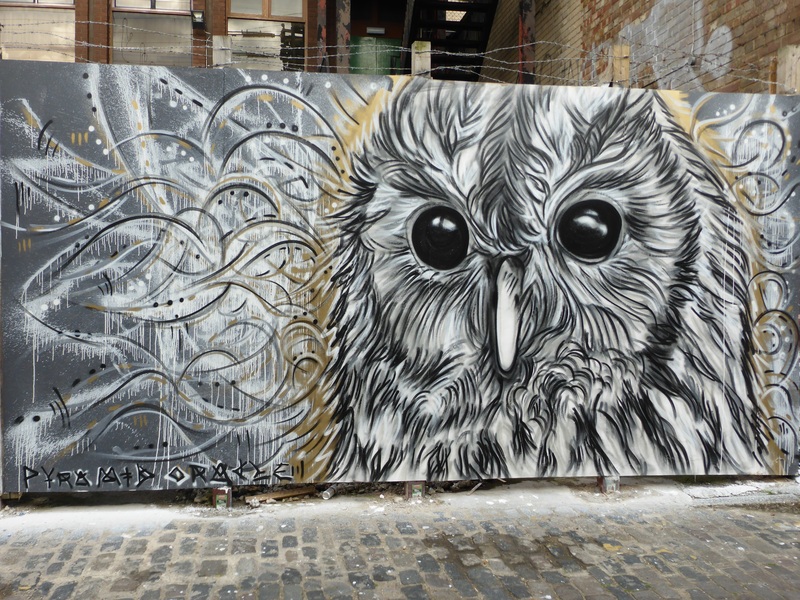 Work by Roes in Camden Town in Bethnal Green. Work by Adam in Bethnal Green. Work by Low Bros in Hoxton. Work by iHAD in Camden Town. 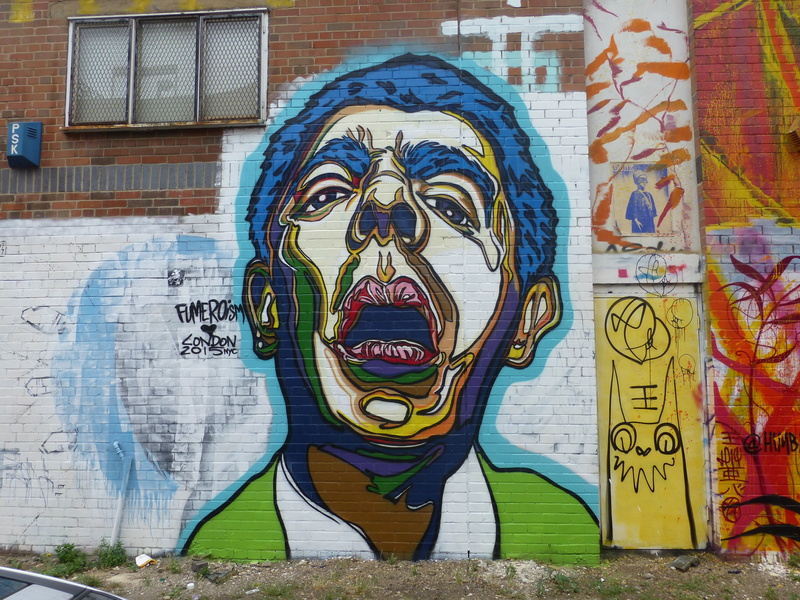 Work from Made You Look Collective trio; Mr Christa, Itaewon & Werdna. in Bethnal Green. 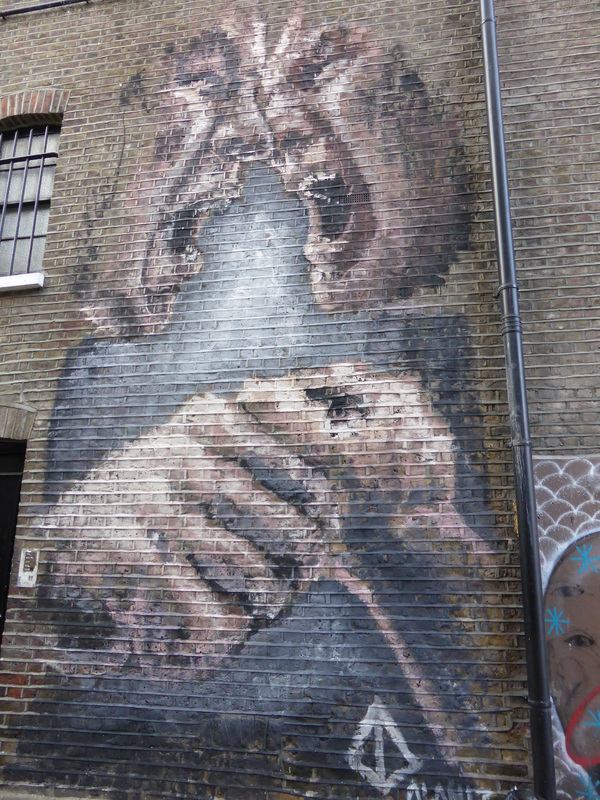 Work by Eoin in Bethnal Green. Work by Vidam in Bethnal Green. 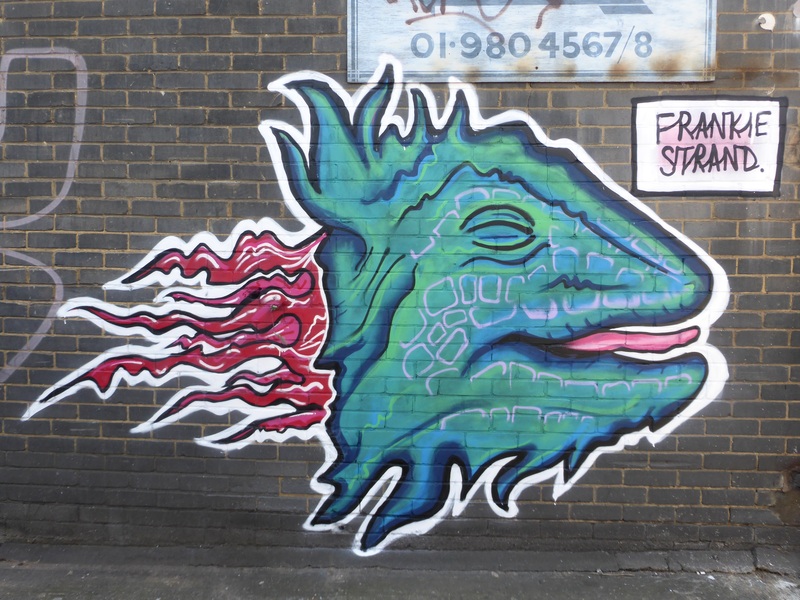 Work by Stinkfish & Mazatl in as part of the MXUK 2015 tour. 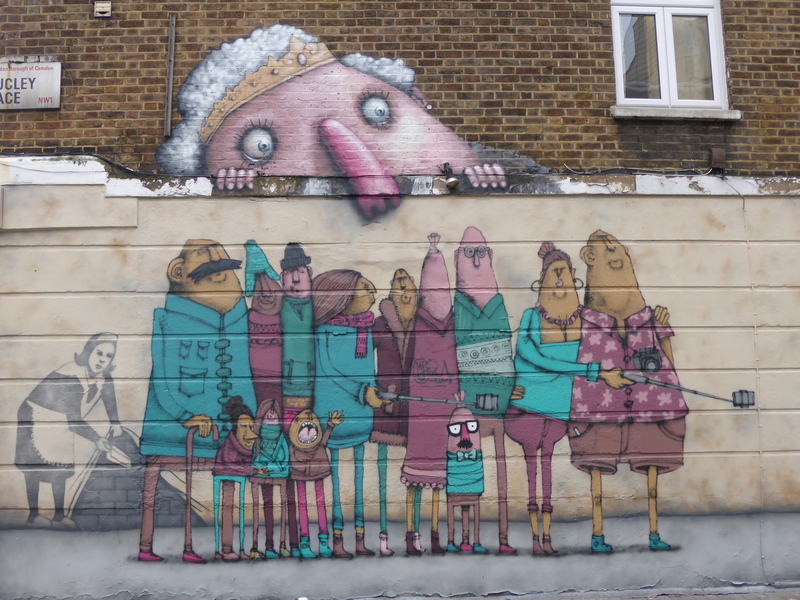 Work by Ador & Semor in Camden Town. ‘Sponge Bob’ by Trust Icon in Bethnal Green. ‘Don’t Believe In Fairy Tales’ by Trust Icon in Bethnal Green. 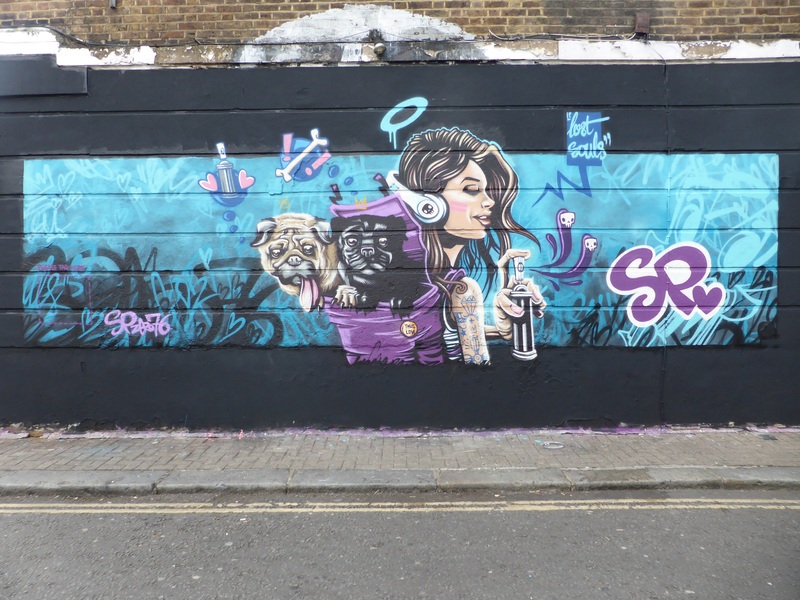 Work by Si Mitchell, Squirl & SPZero76 in Camden Town. 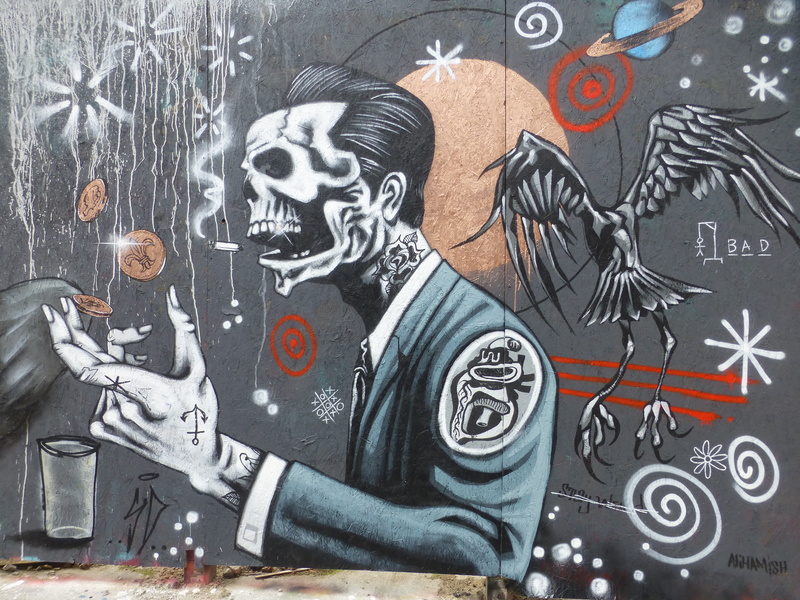 Work by Deesaster in Camden Town. Work by Snub23 in Camden Town. 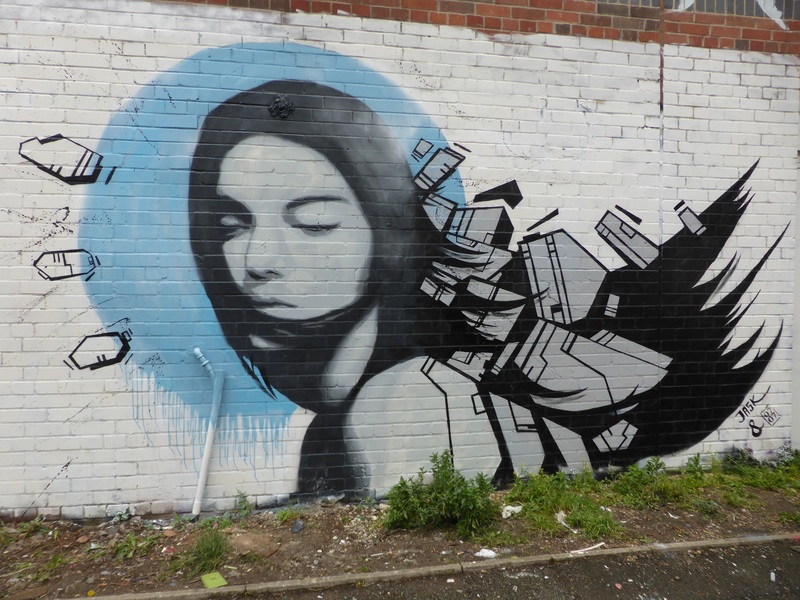 Works by Andy Council & Alice Pasquini, with additional little pieces from Himbad and The Real Dill in Bethnal Green. 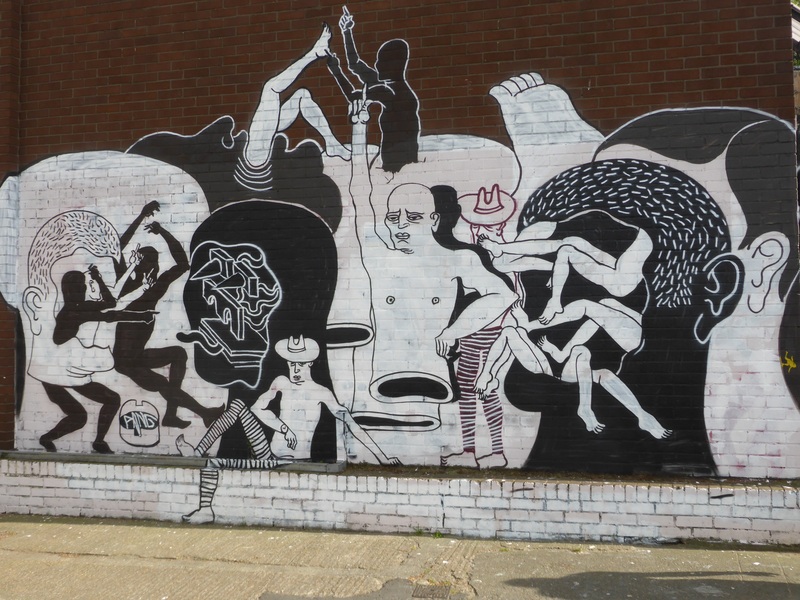 Work by Andy Council in Bethnal Green. 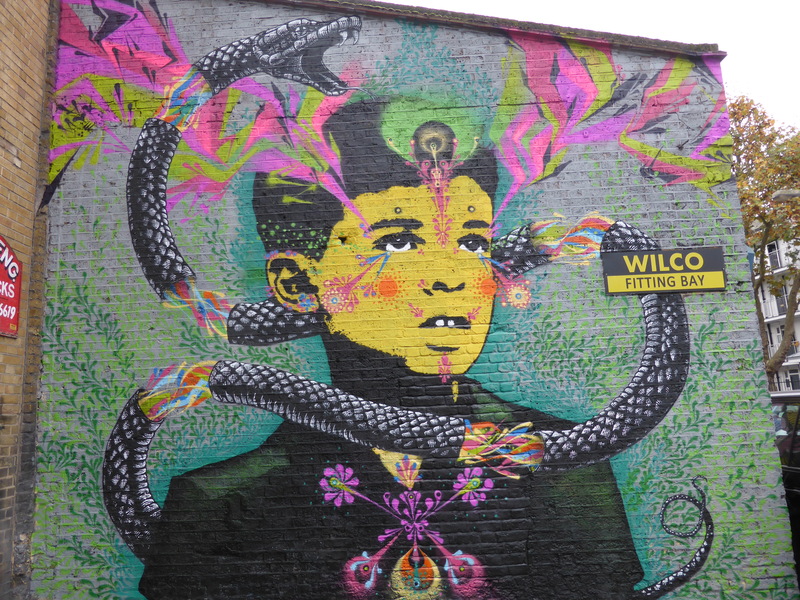 Works by Andy Council, HImbad, The Real Dill, Alice Pasquini, Irony & Stinkfish/Mazatl in Bethnal Green. Works by Bill Thorpe & 616 in Bethnal Green. Works by Bill Daggs, Bill Thorpe & 616 in Bethnal Green. Work by Bill Daggs in Bethnal Green. 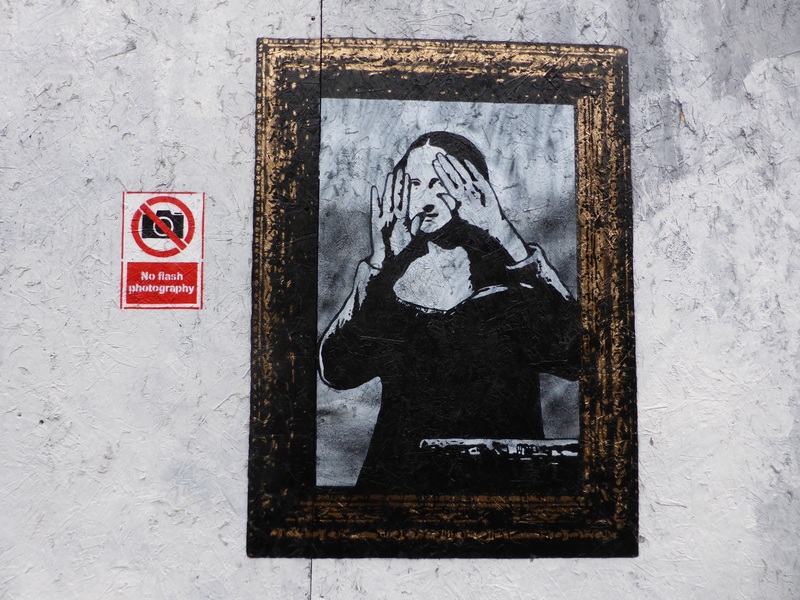 Works by Lenny Massive, Seeds One, Frankie Strand, The Real Dill, Dahkoh, Bill Daggs, Bill Thorpe & 616 – with old works from Donk & Pyramid Oracle still to be spied in Bethnal Green. Works by Lenny Massive, Seeds One, Frankie Strand, The Real Dill, Dahkoh, Bill Daggs, Bill Thorpe & 616 in Bethnal Green. 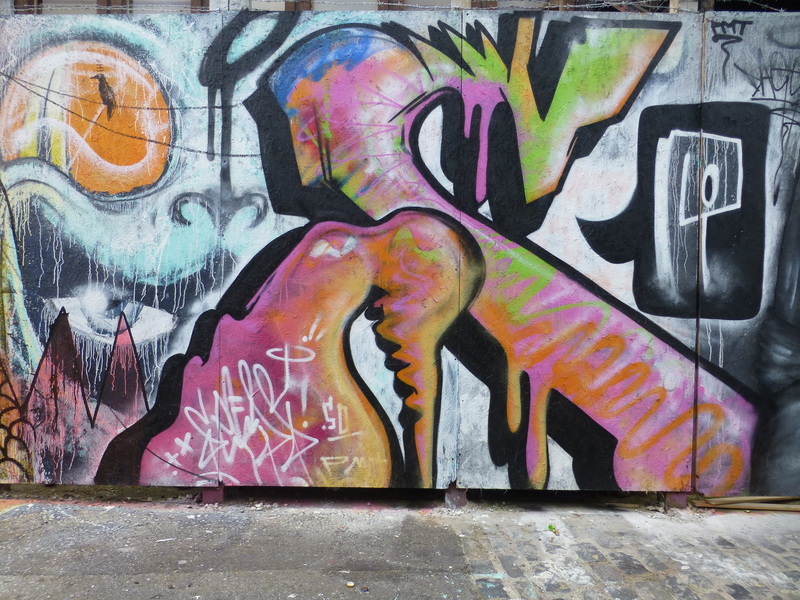 Works from by Lenny Massive, Seeds One, Frankie Strand, The Real Dill & Dahkoh in Bethnal Green. Works by The Real Dill & Dahkoh in Bethnal Green. 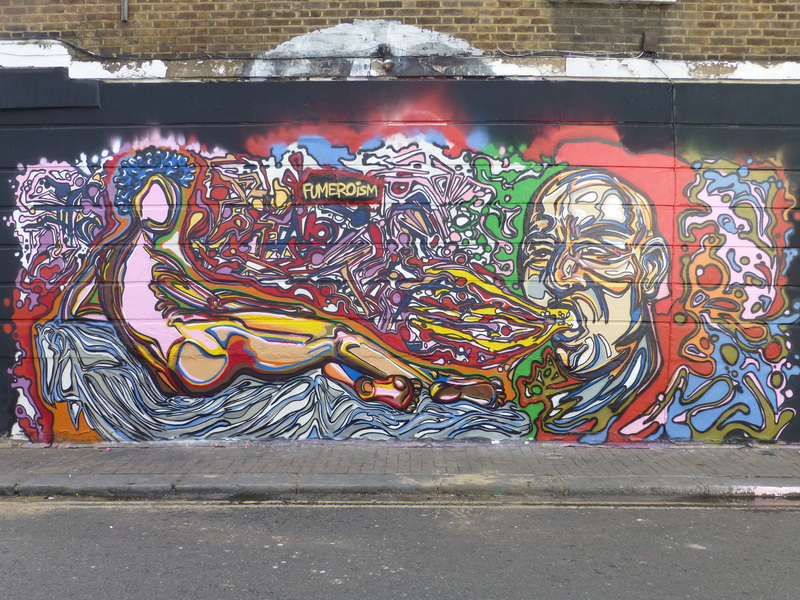 Work by Dahkoh in Bethnal Green. Work by Lenny Massive in Bethnal Green. 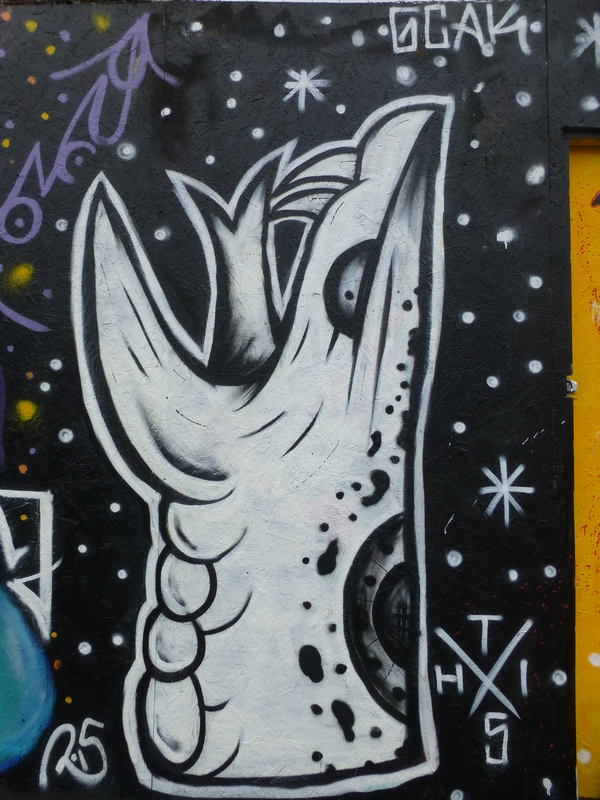 Detail of work by Horrow Crew in Bethnal Green. Works by Skeleton Cardboard & Airborne Mark in Bethnal Green. Work by Skeleton Cardboard in Bethnal Green. 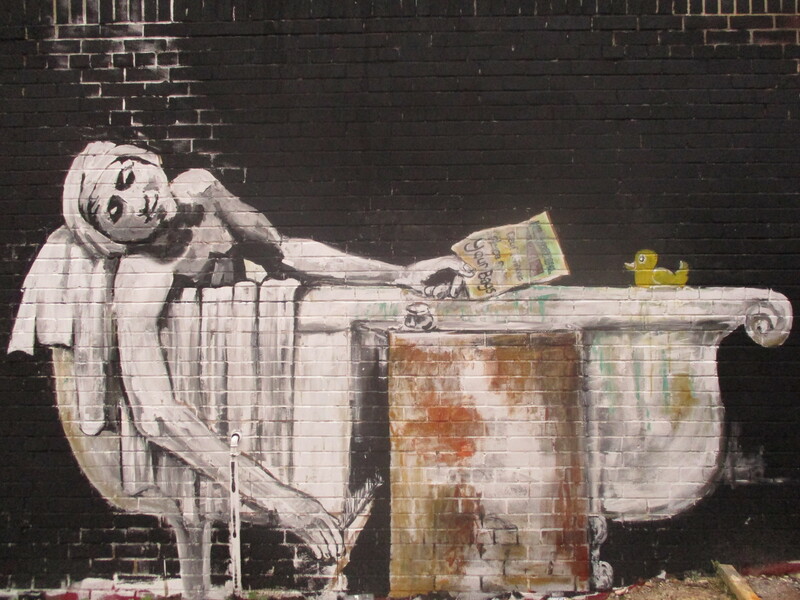 Work by Thieu in Bethnal Green. Works by 616, Skeleton Cardboard & Thisone in Bethnal Green. Works by Skeleton Cardboard & Thisone in Bethnal Green. Work by 616 in Bethnal Green. 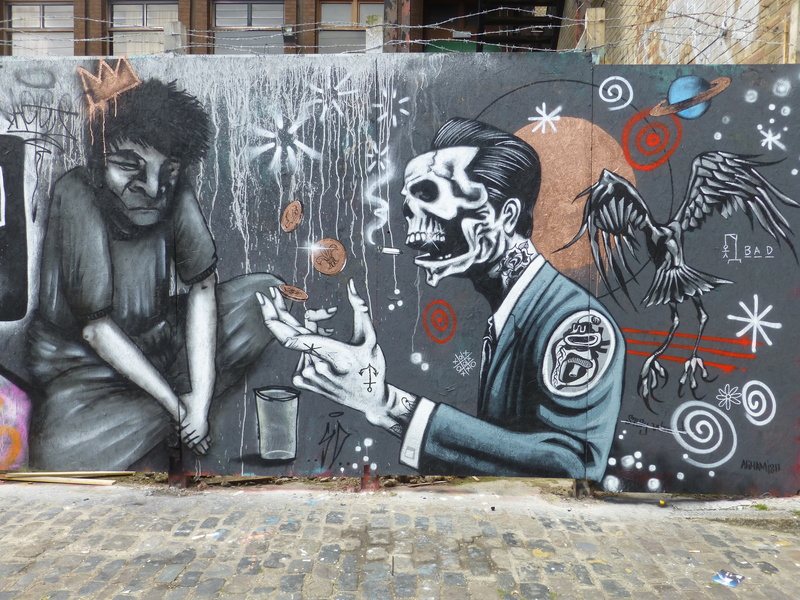 Work by Ben Slow & Carl Cashman in Camden Town. Work by Ink Fetish & Jasik in Camden Town. Work by Paul Insect & Dscreet in Bethnal Green. ‘New New Facism’ by Nick Flatt & Punk One in Bethnal Green. 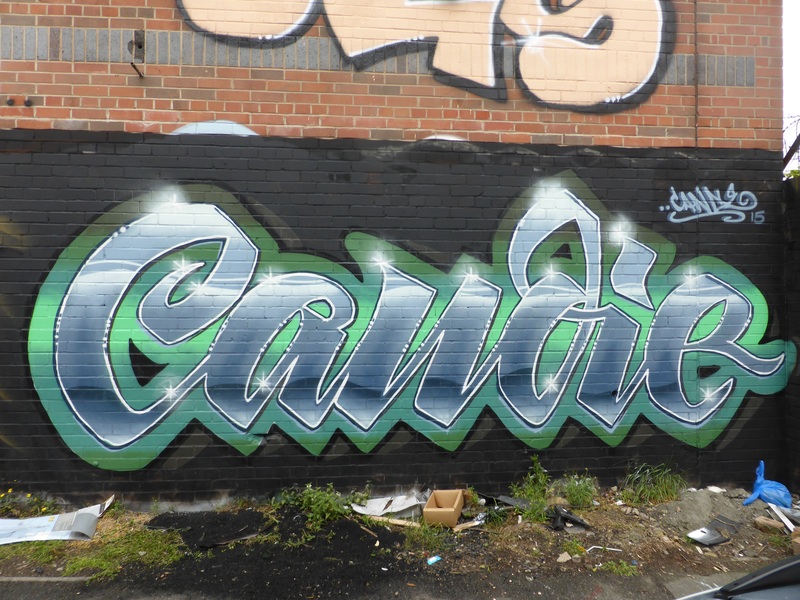 This work was put up with support from Hidden Streets Of London & Lenny Massive. ‘Pirates’ by Zabou in Bethnal Green. 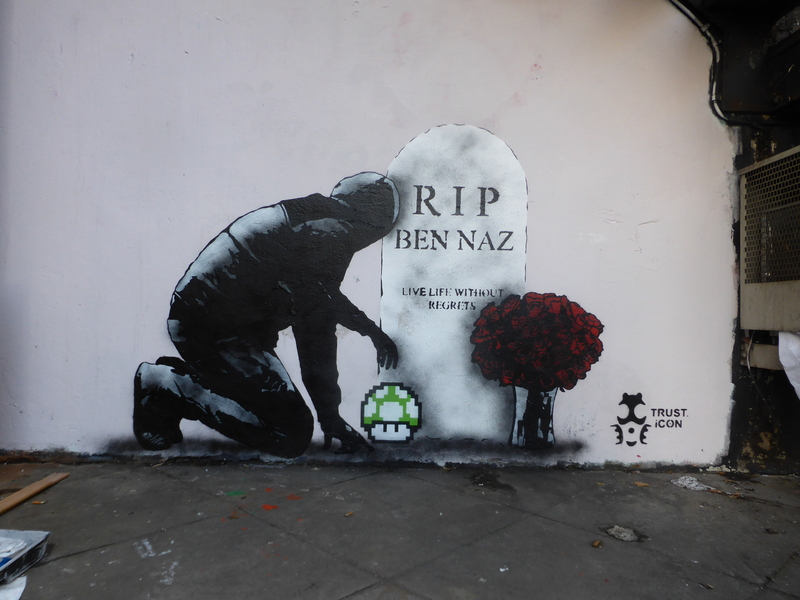 This work was put up with support from Hidden Streets Of London & Lenny Massive. Seeds One, ThunderCunt, Skeleton Cardboard, Amara Por Dios & Tony Riff at work in Bethnal Green. Works by Seeds One, ThunderCunt, Skeleton Cardboard, Amara Por Dios, ThisOne & Tony Riff in Bethnal Green. Works by Seeds One & ThunderCunt in Bethnal Green. 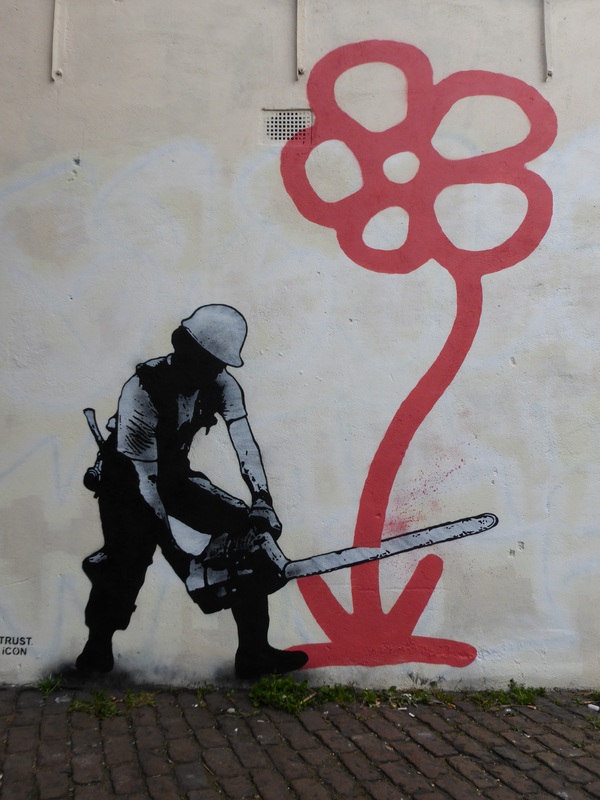 Work by Seeds One in Bethnal Green. Work by ThunderCunt in Bethnal Green. Work by Tony Riff in Bethnal Green. Works by 616, Seeds One, ThunderCunt, Skeleton Cardboard, Amara Por Dios & ThisOne in Bethnal Green. 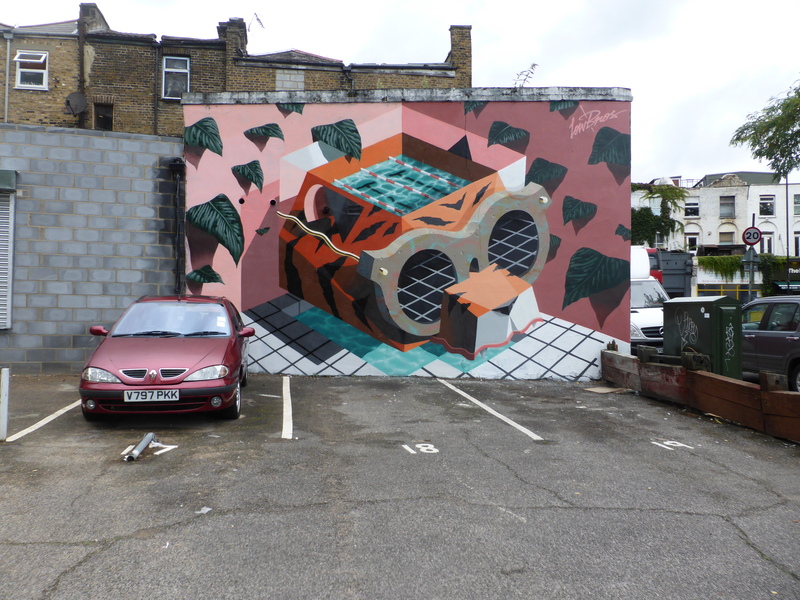 Work by Jerry Rugg and Louis Masai in Bethnal Green. 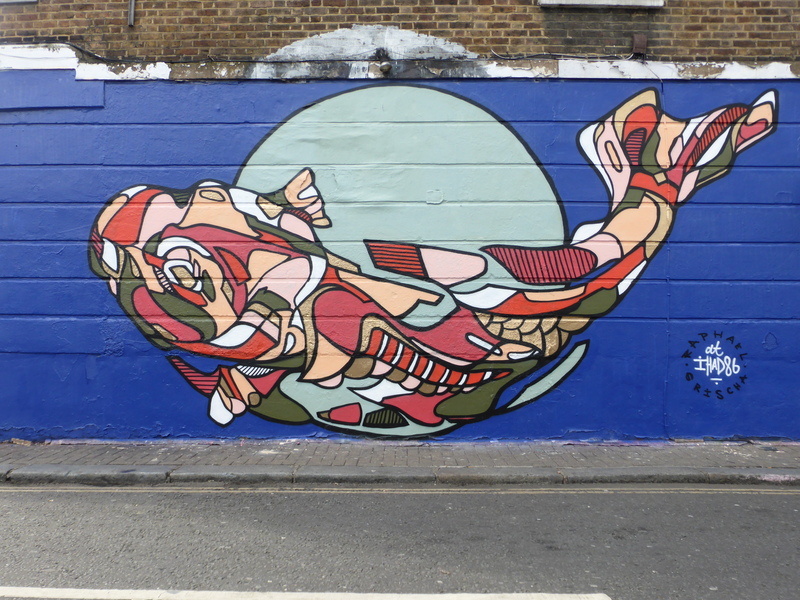 Work by Reka in Camden Town. Last but no means least for now, this stunning work from Adnate in Bethnal Green. ALL WITH SUPPORT FROM HIDDEN STREETS OF LONDON. Wow! What a wonderful legacy and all beautifully preserved by London Calling Blog. Lots I remember and seems plenty I missed. Hope some equally enterprise folk come to fill the void.